We introduce you to an amazing educational game created around the story of the three Little Fairies! All little girls will love them as their beauty and the magic that surrounds them is just amazing. 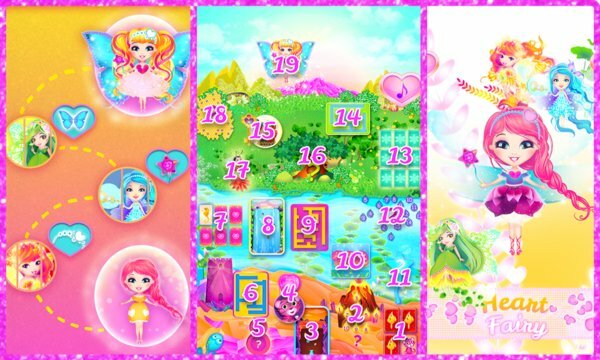 Go through the many levels in Fire Land, Water Land and Green Land and solve puzzles to discover the path that will bring you to the little princesses. Did you know that the three Little Fairies that rule the Fairy Land were kidnapped? Yes, it's terrible! The Blue Dragon, the Mighty Bear and the Evil Witch now rule the Fairy Land by kipping them prisoners. But this situation must change and your help is needed. Your love and pure heart can bring happiness to this Land. And it's your courage and witty mind that will help you solve the little puzzles. 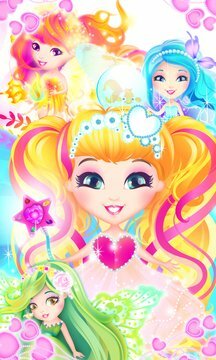 To reward you for these amazing qualities you'll receive three magic elements that will transform you into the Heart Fairy! Isn't this awesome?